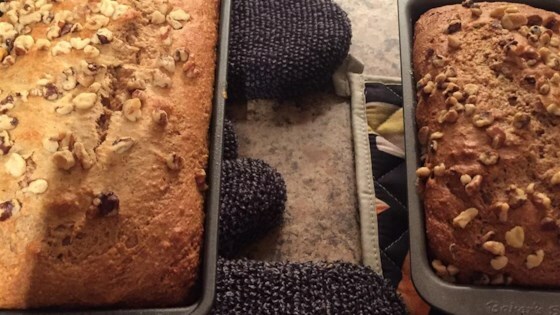 "Mmmmm... yummy banana bread without all of the fat." Very good recipe, I used an Omega Egg substitute and the recipe was still great(and cut the fat down even more). I will definitly put this one in my recipe book. Great tasting and moist without the high calories in other recipes.